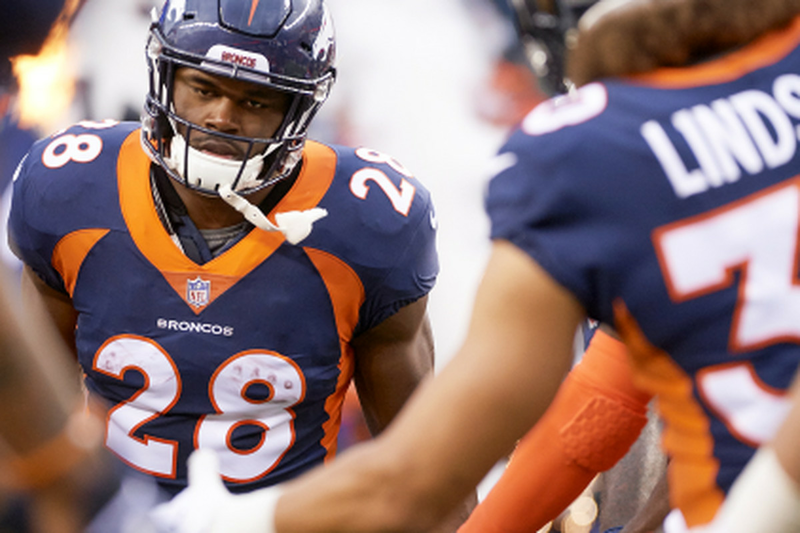 Can Denver Broncos sophomore running back Royce Freeman find his groove in 2019? After being drafted in the 3rd round of the 2018 NFL Draft, Royce Freeman was projected to be the featured running back in Denver. Freeman finished his college career (Oregon) as the all-time leading rusher in yards (5,621), all-purpose yards (6,435), rushing touchdowns (60), and total touchdowns (64). In 2018, Freeman (6’0, 229lbs) was ironically overshadowed by undrafted Phillip Lindsay (5’8, 190lbs). While Lindsay ran his way through multiple awards and a Pro Bowl bid, Freeman compiled a lackluster 521 rushing yards, with 5 touchdowns in 14 games. At times, it seemed that Freeman was uncomfortable in various formations, particularly the Power I. In Single Back formations at Oregon, Freeman found success. Behind lead Bronco Fullback Andy Janovich, Freeman was not able to use his bruising running style. Then, after sustaining a high ankle sprain midseason, Freeman never found his groove. Overall, Freeman’s 2018 campaign left Broncos Country feeling incomplete. At times, he showed flashes of power, and potential but was inconsistent. While the 2018 season embodied inconsistency for the entire team, new Broncos Head Coach Vic Fangio insists on a culture of competition. Fangio is known for his attention to detail and preparation. With Organized Team Activities (OTA’s) and Training Camp quickly approaching, Fangio should have a steadfast eye on Freeman. While Lindsay rehabs from a season ending wrist injury, Freeman has yet another opportunity to earn a starting position. Will Freeman have a breakout 2019 season?